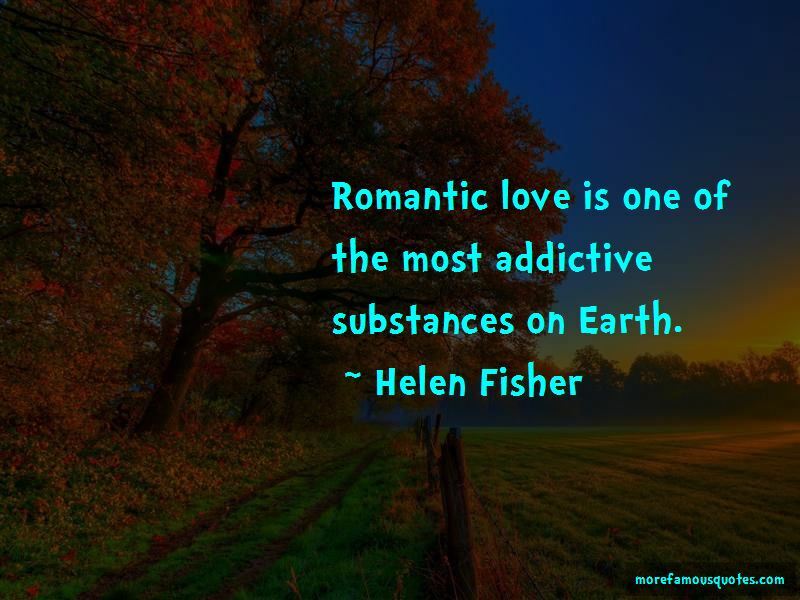 Enjoy the top 165 famous quotes, sayings and quotations by Helen Fisher. Whether you're married or not, relationships - and the satisfaction tied to them - are extremely important for increasing men's and women's quality of life. Love is not an emotion; it is a drive. As women in industrial societies join the paid workforce, they gain the economic means to depart unhappy marriages more easily. I think you will find that with divorce will come happier remarriages. Women's worst invention was the plow. With the beginning of plow agriculture, men's roles became extremely powerful. Women lost their ancient jobs as collectors. 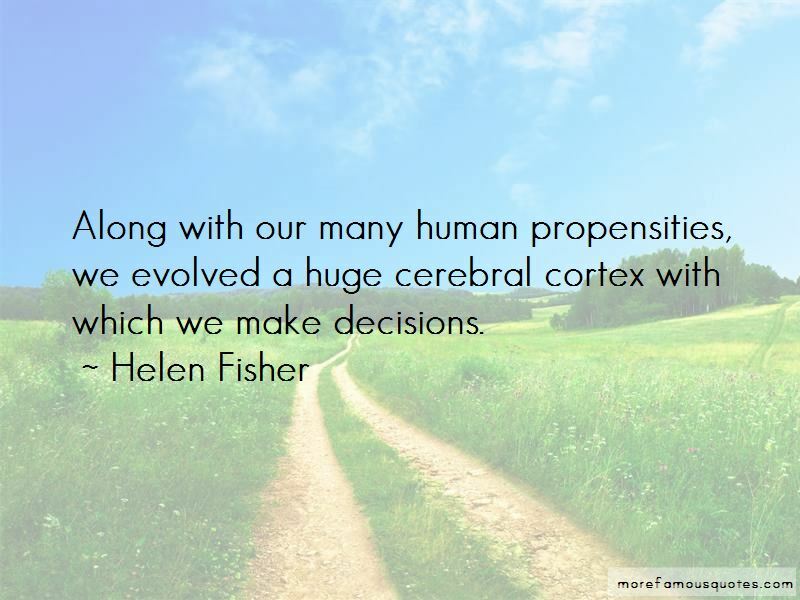 Want to see more pictures of Helen Fisher quotes? 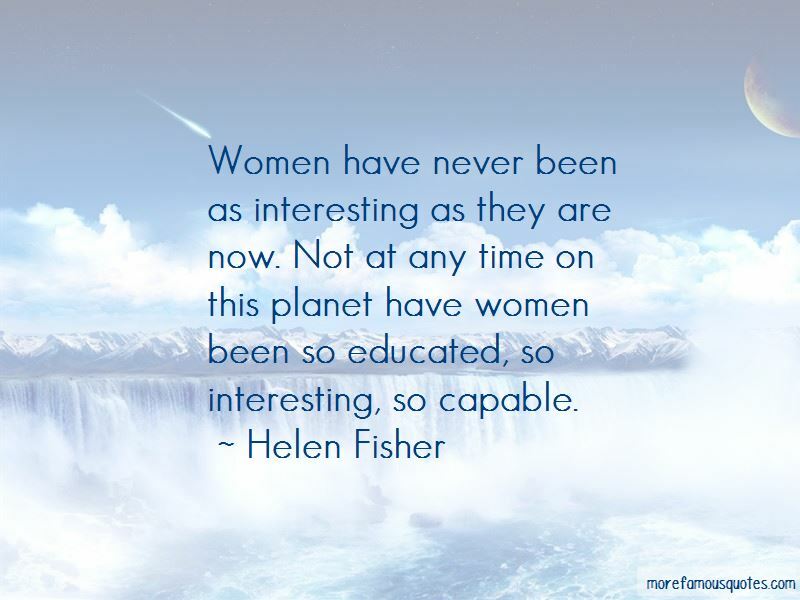 Click on image of Helen Fisher quotes to view full size.